The wonders of Alaska can be experienced both on land and by cruise. Most cruise lines offer land packages that allow you to experience the wonders of the Denali National Park and other incredible Alaska experiences. 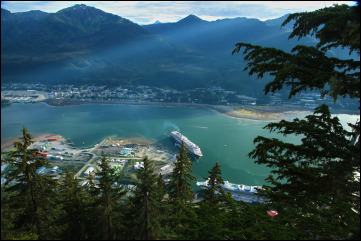 Many of the larger, popular cruise lines call on Alaska, including Holland American and Princess (known for their unique Alaska cruises and land tour combinations), as well as Carnival, NCL, Celebrity and Royal Caribbean. Smaller boutique and luxury lines also call on Alaska, often times visiting the smaller, more unique ports of call that are inaccessible to the larger ships.